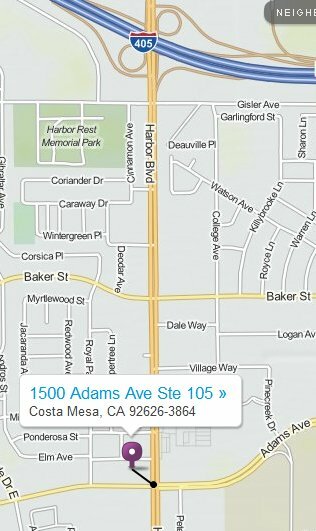 Effective Feb 1, 2013, we are now located at NW corner of Adams Ave and Harbor Blvd, Marquee CM, in the city of Costa Mesa, 1 mile south of the 405 FWY. The Marquee CM charge station allows customers with EVs to conveniently charge their cars free while shopping. Park your vehicle at the Marquee CM marked with the parking symbol to the above.